Don’t know what kind of machine you have, but on mine, a very old Bernina, I would say the tension needs adjusting, not sure how you would do that on your machine. Also since it is very slick fabric make sure your needle is the right one for the fabric you are using and is sharp, just in case the needle is pulling. The idea of a lace trim sound like a perfect solution. I changed the needle and it’s STILL messing up. I’m going to try a little oil and see if that does any good. The only other suggestion I can offer is using tissue paper as a backing or even to give the fabric more stability. They do sell tear away tissue paper for this purpose, but any sturdy type of tissue paper will work. 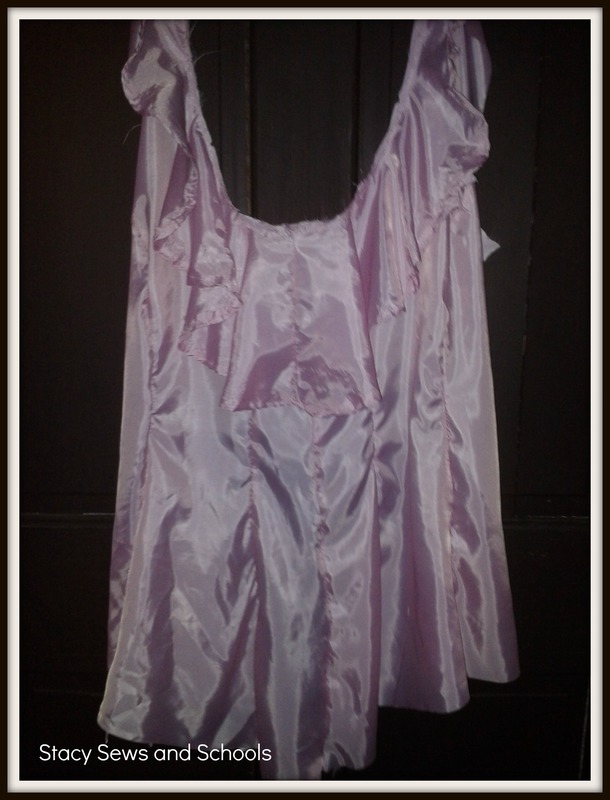 Does it sew just fine on cotton type fabrics? Nope, it’s doing the same thing to my regular cotton. SIGH…. What a pain!!! I adjusted the tension for the silky fabric and it didn’t help. I can try changing the needle out. Thanks!!! Don’t know ,if it will help.. but ..try changing your bobbin too.. Sometimes if the bobbin is warped [how it warps ,I dont know?? ha] or has a knick.. It will do that.. Hope your blouse turns out.. So frustrating when fabric drives us nuts.ha Happy sewing. Thank you, Judy!! I changed the bobbin out and it didn’t help. SIGH… But maybe there’s a problem with the whole lot of them?? I can try changing back to the cheap plastic kind and see if that helps…. Sounds like you need an adjustment to the tension. On my Singer, the thread must come off the bobbin in the direction pictured in the manual or it caused lots of issues with loose or looped bottom stitches. Thanks, LaVonne!! I have it coming out counter-clockwise like the manual said. I adjusted the tension again and it’s definitely better.